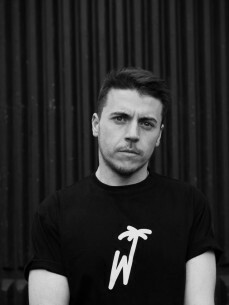 João Barbosa AKA Branko first became known on the International scene as the driving creative force in Buraka som Sistema, the worldwide phenomenon whose releases helped create a new attitude towards global sounds. The seminal collective is responsible for reshaping dance music culture and spawning a myriad of sub-genres that shaped the Global Club Music scene and were championed by the producer’s label Enchufada. Branko’s solo work has included several singles, a mixtape and an EP, featuring collaborations with Zebra Katz, Roses Gabor, Dominique Young Unique and Njena Redfoxx, but 2015 sees him taking on his most ambitious project to date. Challenging the notion that “everything has already been discovered,” Branko is embarking, in partnership with Red Bull, on a musical journey across the globe, diving into some of the most vibrant music scenes today to meet and work with a new generation of artists.Traveling with a film crew he will visit Capetown, Amsterdam, Sao Paulo, and New York before finally returning to Lisbon, taking in the local sights and sounds and heading in to the studio to work with local artists.